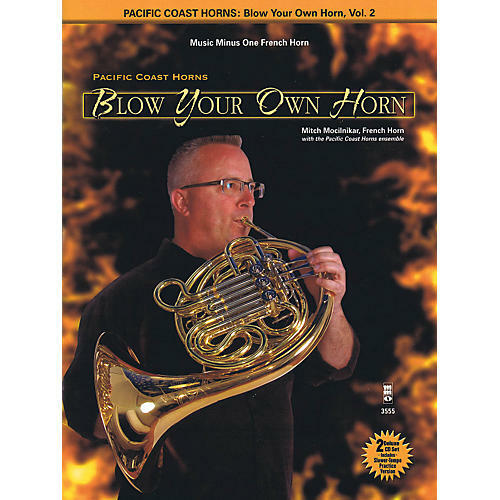 Pacific Coast Horns - Blow Your Own Horn, Vol. 2 is a collection of 9 more popular instrumentals as performed by the Pacific Coast Horns for French horn players to learn and master. This deluxe edition includes a printed solo part, as well as 2 CDs with complete reference versions and accompaniments minus you! The CDs also contain -12% and -25% slow practice tempo tracks.